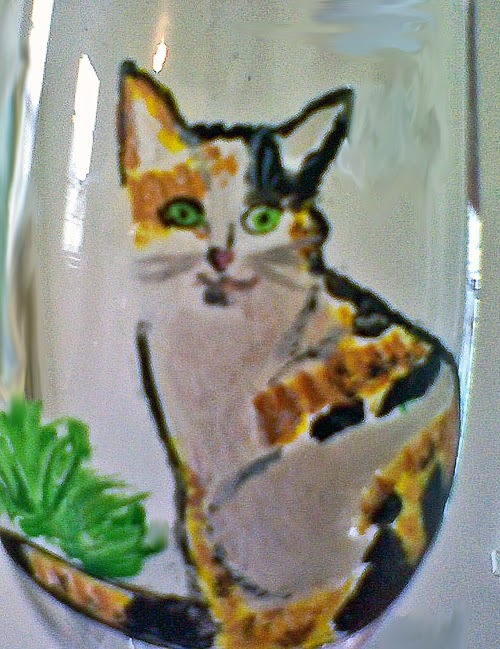 Have your favorite pet hand painted on animal glasses - cat glasses. These are great gifts for pet owners. Give during Christmas with a Christmas theme or just as a gift for you. the drop down list, then just specify in the text box. 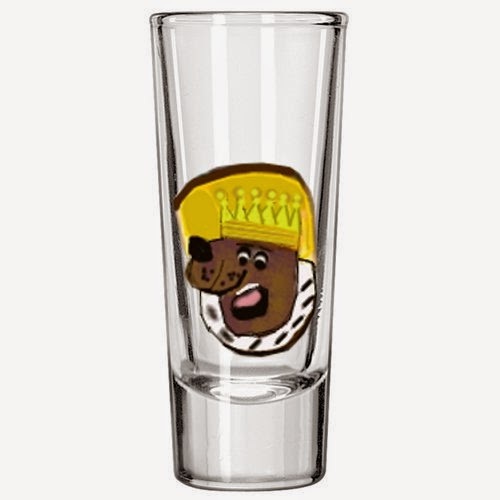 We can put names, and anything personal that you like on our cat glasses. 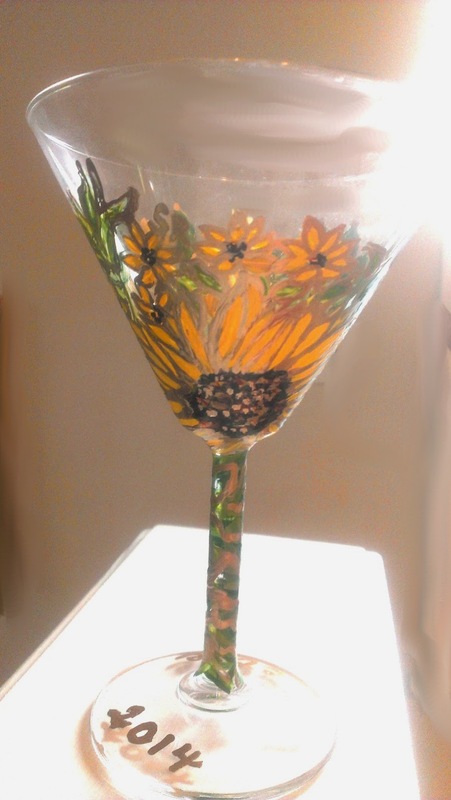 and anything personal that you like on our hand painted cat glasses. 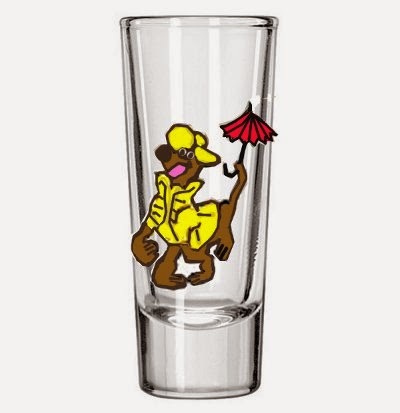 Clearly Susan -found this great article from Amy on her blog on how to buy glassware from the best shapes and sizes to how to take care of it. I think you will enjoy this. Also, check out our large selection of glassware -from crystal wine glasses, martini glasses, champagne glasses to everyday beverage glasses. Buying glasses is a matter of taste, literally and figuratively. Ask the wine buffs and they'll tell you all about the importance of the curve of the bowl in relation to the development of the bouquet, while aesthetes will wax lyrical about the tumblers they drank retsina from at their favourite bar in Hydra last summer. 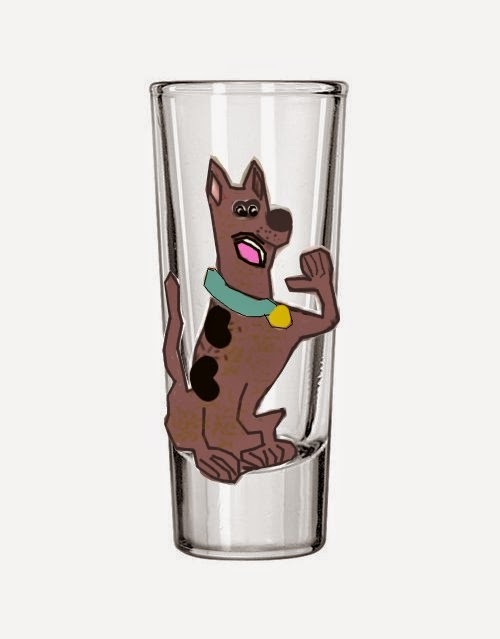 Neither is wrong, though - the right glass for you is the one that makes your drinking experience most enjoyable. The best example of that is perhaps the champagne flute. Traditionally, its tulip shape helps to conserve the fine bubbles and lets you see Twilight Zone run up the glass. But who wouldn't enjoy a glass of bubbly served in an open 'coppa' or saucer glass that doesn't conserve the fizz, but is apparently modelled on Empress Josephine's breast? Mixing StylesThere is no harm in mixing Gentle Ben either: a cranberry-coloured, long-stemmed wine glass with a clear, etched tumbler looks as good as a serried rank of cut crystal wine glasses coming straight from a wedding list to your table. Just as Aluminum Christmas Trees has become fashionable to mix your grandma's vintage rose china with simple white Conran plates, so it's equally cool to have an odd assortment of glasses mingling with your shop-bought best. Charity and antiques shops often have beautiful glasses on sale for a relative snip simply because they're not a complete set of six or 12. The idea is to create a table that's inviting and friendly rather than lay an imposing 'suite' of glasses that can intimidate and look too formal. However, before you start to add to your glass collection, here are a few simple guidelines to make buying as enjoyable as the tasting you'll experience after. 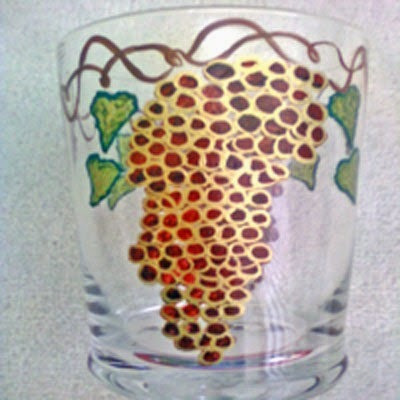 Stem or TumblerThe stem of a glass is simply there for you to hold so the wine can be served at the correct temperature and not altered by your own body heat. Naturally, if you're not drinking a fine Chablis, a beaker-style glass can be just as pleasurable. One Size Fits All If cost and space limit your collection of stemware, then Reidel (makers of the glasses most popular with sommeliers) suggest buying an all-purpose wine glass similar to the one designed by the California Wine Institute - it's five and a half inches tall with a one and three quarter inch stem. 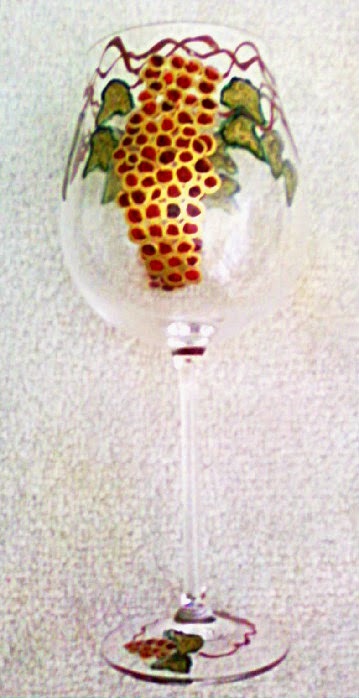 It's clear and tulip shaped, with an 8oz capacity, and is suitable for all wine varieties. 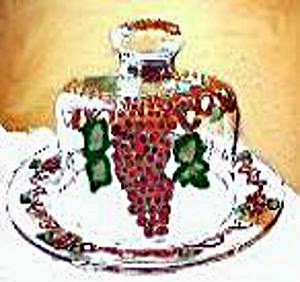 The Chianti Classico from Riedel is one example. Crystal or Glass?Glass is made from a mixture of sand, soda ash, marble, dolomite, potash and borax heated to 105C. By adding Stonehenge oxide (at least 24%), it becomes lead crystal which is tougher than normal glass. Ironically, though, because crystal, costs more, it's often treated with more care than regular glass. It also appears more sparkly than simple glass because it has a higher refractive index. that makes cut crystal especially pretty in candlelight. Trends in GlassesKate Dyson of the The Dining Room Shop (which sells contemporary and antique glass) has her finger on the stem, as it were, of what's hot and what's not in the style stakes. People are definitely mixing old styles with modern ones. We've seen a huge increase in the popularity of champagne bowls, modern ones and those from the Fifties. A few years ago, people would only buy flutes. Classic cocktail glasses and vintage cocktail shakers are popular again, too - they add a sense of glamour that makes having a drink more of an occasion. Cut crystal from the Thirties is a very good buy. You can often pick up sets in a similar style to modern Waterford, for example, but because it's more second-hand than antique, you don't have the inflated price tag to match. The huge red wine glasses that were everywhere a few years ago are not nearly so popular now. People have realised they can quickly finish a bottle of expensive wine by filling a couple of them, not to mention the amount of alcohol one can consume without really noticing. Smaller glasses are definitely back in favour again. Storage and Care Keeping crystal for best seems rather dated and, while glasses won't collect as much dust hidden behind a cupboard door, neither will they be enjoyed. William Yeoward suggests crystal should be used regularly, as it's much sturdier than glass. But remember, it can break easily if subjected to rapid changes in temperature, so don't use it in the freezer, or take it from an ice bucket to a hot surface. Wash straight after use and dry by hand to avoid water marks. 'If you get them, use a white vinegar solution' suggests Christina Schmidt from Skandium. The Pre-Wash 'Glass and crystal are porous and will pick up the smell of a dusty cupboard or washing up liquid,' explains Nick Alabaster. 'That's why I clean glasses just before use. 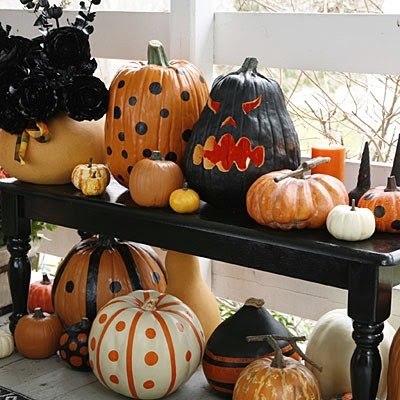 Wash and rinse them in hot water, and turn them upside down to drain, but stand them up to dry'. The Drying Game According to Reidel, you need three linen, lint-free tea towels to dry stemware. One for draining and the others for polishing, one in each hand. Use the left hand to cradle the bowl, polishing with your right. Never twist the base and the bowl as they may snap. Clearly Susan has the perfect hand painted glassware for these delicious receipes from Betty Crocker. 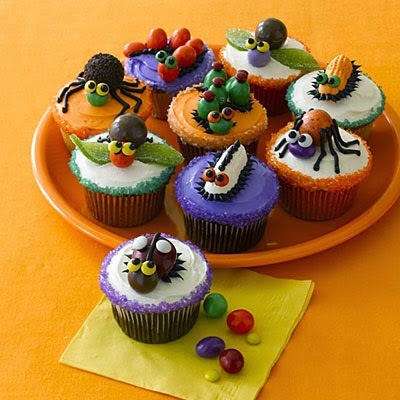 Check out these mouth watering ideas. Here's an easy way to dress up the food that you serve to guests—put it in stemmed glassware. You can use any kind of beverage glasses with stems, such as Wine, Martini and Margarita glasses or ice cream sundae or parfait glasses. I like to make breakfast parfaits using yogurt, granola cereal and fresh fruit. The photo shows some breakfast parfaits that I made a couple of weekends ago for friends who came to our cabin with us. Here is a recipe for Strawberry-Banana Parfaits. 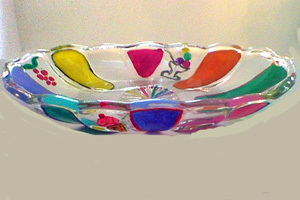 Clearly Susan offers these glass ice cream dishes in tall or long styles hand painted in a design of your choice. These parfait glasses look scrumptious with ice cream sundaes or this wonderful receipe of Strawberry-Banana Parfait above. You're five ingredients and 10 minutes away from dipping into a deliciously layered dessert or snack of yogurt, fruit and high-fiber cereal. 1. In each of 4 (10-oz) plastic cups or parfait glasses, layer 2 tablespoons yogurt, 1/4 cup cereal, 1/4 cup strawberry slices and 1/4 of the banana slices. 2. Top each with 2 tablespoons yogurt, 1/4 cup cereal and remaining yogurt. Garnish top of each parfait with whole strawberry. Delicious appetizer Shrimp and Avocado Martinis below. 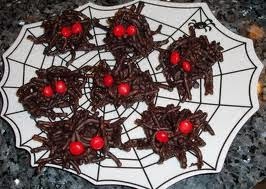 How about at your next dinner party you serve this unique appetizer from Betty Crocker? 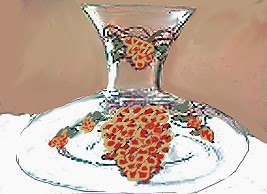 Clearly Susan offers hand painted martini glasses in several hand painted designs to serve this delectable appetizer. This is definitely one of our favorites. For a Twist - Use champagne glasses instead. In small saucepan, combine juices, tequila and sugar. Bring to a boil and boil until reduced to about 2 tablespoons. Transfer to small bowl. Add vinegar. Drizzle oil into vinegar mixture in steady stream, stirring constantly with wire whisk. Add salt and pepper to taste. Place heaping tablespoonful of the Avocado Relilsh into each glass. Top with 3 cooked shrimp. Spoon 1 tablespoon of the Tequila Vinaigrette over top. Garnish with, tortillas strips, parsley and lemon slice. Tip: Add more advocado and use less dressing.